As you may know, what you drink can hurt your liver. Many cases of liver damage are due to excessive alcohol consumption. In fact, alcohol is so damaging to the liver that doctors now reference it even when the beverage isn't the cause of damage. The disease category non-alcoholic fatty liver disease (NAFLD) distinguishes this condition from alcohol-fueled problems. But what many people don't realize is that your beverage choice can actually help your liver as well, according to the results of a new study out of The Netherlands. For this study, researchers evaluated data from a large study of nearly 2,500 people. The participants were all 45 years old or older and lived in the same suburb. They went through physical check-ups, provided blood samples, and had measurements taken of their livers, including the degree of liver stiffness. Liver stiffness increases along with liver scarring, so it's a good indicator of the health of the liver. The researchers also filled out Food Frequency Questionnaires, which asked about a number of dietary choices, including coffee and tea consumption. The researchers divided the coffee drinkers into three groups. One group drank no coffee. The moderate coffee drinkers had up to three cups a day. And the frequent coffee drinkers had more than three. They also subdivided the tea drinkers according to whether they drank herbal, green, or black tea. After evaluating the data, the researchers identified a couple of interesting correlations. Both frequent coffee drinking and drinking any amount of herbal tea were associated with having a lower chance of experiencing liver stiffness. This connection existed independently of the participants' other lifestyle choices or metabolic or environmental factors. While there did not seem to be a connection between coffee or tea consumption and the amount of fat in the liver, meaning they couldn't draw any conclusions that these beverages might help you avoid NAFLD, the effects on liver stiffness were still significant. The researchers concluded that drinking coffee and herbal tea may help you avoid liver scarring before you even have detectable liver disease. The study did not mention whether green or black tea had any effect. Liver disease can cause significant inflammation, so the antioxidants and polyphenols in these beverages may help explain their beneficial effects. Of course, if you find drinking a cup to be a soothing ritual, that can help bust inflammation-producing stress as well. If you are caffeine sensitive, be sure not to drink a caffeinated drink like coffee too close to bedtime, as interrupted sleep affects inflammation levels as well. 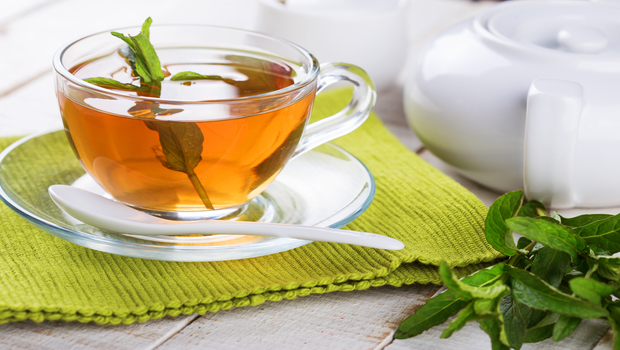 Herbal tea, such as chamomille, lemon balm or Sleepy Time tea, is probably a better choice in the evenings. If you'd like to protect your liver further or know that you already have some liver stiffness and scarring, try Advanced Liver Support. It's full of nutrients that will support a healthy inflammation response, detoxification, and optimal liver processes. Louise J.M. Alferink, Juliana Fittipaldi, Jessica C. Kiefte-de Jong, Pavel Taimr, Bettina E. Hansen, Herold J. Metselaar, Josje D. Schoufour, M. Arfan Ikram, Harry L.A. Janssen, Oscar H. Franco, Sarwa Darwish Murad. Coffee and herbal tea consumption is associated with lower liver stiffness in the general population: The Rotterdam study. Journal of Hepatology, 2017; DOI: 10.1016/j.jhep.2017.03.013.